Here are some tips on how to get a dog to like you and trust you. Dogs have earned the moniker of “man’s best friend,” and we’d like to think that dogs love us just as much as we love them. A loyal dog will always be by our side and will comfort us when we’re sad, rejoice with us when we’re happy, and protect us when we’re scared. Few pets are as kind and lovable as dogs. Unfortunately, not all dogs are always friendly with strangers. They might bark or bite. They may pull back when you try and walk them. They might hide under a couch or bed when you attempt to approach them. For some reason or another, some dogs are hostile towards people they don’t know. These tips on how to get a dog to like you will help you earn their trust. A dog might perceive you as a threat and act hostile towards you. You should remain calm when approaching a dog. It’s easy to get excited, but the dog might think you’re trying to play with it. It might jump up or chase you. In some cases, the dog may become startled and act aggressively. Give the dog about four feet of space so that it can get used to your presence. Then, slowly advance towards the dog from the side instead of the front. Avoid making eye contact, as the pup might see that action as a threat. Slowly kneel down to the dog’s level and try not to startle it by making any sudden movements. Hold out your hand in a fist so that the pup can smell it and get used to your scent. A dog will lick your hand if they accept you. Let the dog come towards you. If they begin to act friendly, you can gently pet they chest. Avoid petting new dogs from above. Treats also help your dog trust you. Dogs love eating food, and the mere thought of a snack gets them excited. Some pups will start begging as soon as they hear something like a wrapper crinkles. Remember that treats can be unhealthy and too much junk food can make your dog fat. You can opt for healthy treats like brown rice, cabbage, cauliflower, apples (with no core), or baby carrots. Alternatively, you can purchase healthy dog treats at any local pet store. You should take the time to train your dog, especially if they are still a puppy. Simple commands like “sit,” “stay,” and “shake” will ensure that your dog is well-behaved. Make sure to use proper body language to show your dog what to do. You should also aim for positive reinforcement instead of punishment. Dogs love being rewarded and will be better trained when given gifts and praise. Don’t overuse treats or your dog will come to expect them whenever they follow proper behavior. Create a bond between you and your dog by spending time with them. Walk, groom, and feed your furry companion as much as possible. Dogs are bred to love human companionship, but like any relationship, it takes time to cultivate a deep affection. Pups love attention and, if you treat your dog well, they will respond in kind. These tips on how to get a dog to like you will help you build a strong bond with your pet. Every relationship, even ones between humans and animals, require patience, love, and understanding. 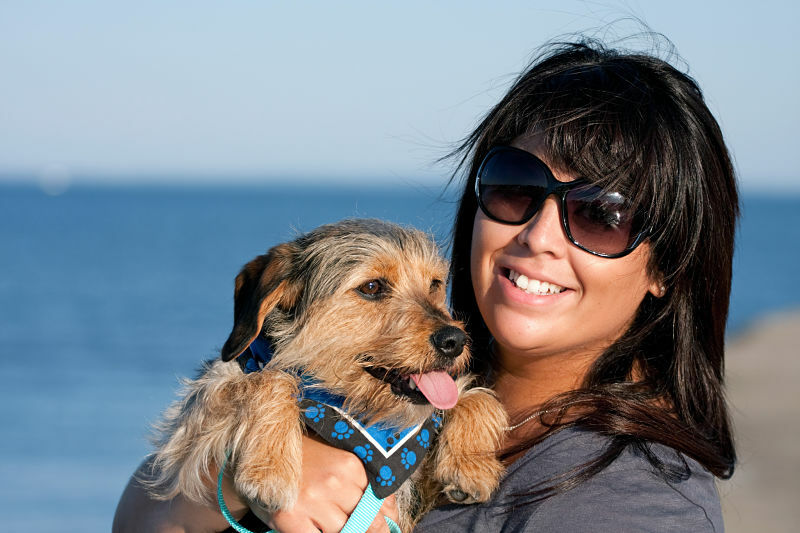 Your dog will become your best friend and most faithful companion with enough time. Take things slowly and treat your dog the way you’d want someone to treat you.